So you want to eat healthy, but you don’t have a lot of time. Maybe you don’t even have a stove. But your heart is still stuck on it. First of all, GOOD. That kind of drive is awesome. For those that get in their own heads too much, here’s a recipe that gives you one less excuse. Oh, and it comes in both vegetarian and carnivore variations. You could also use spices/herbs to add a little something, although the buttery-ness of the potato works well with the kale-ness of the kale. Grill chicken, seasoning to personal preference. Cut into strips. Use frozen, ready-to-eat stuff, if you must, and cook that. Separately, cut potato into slices or chunks. 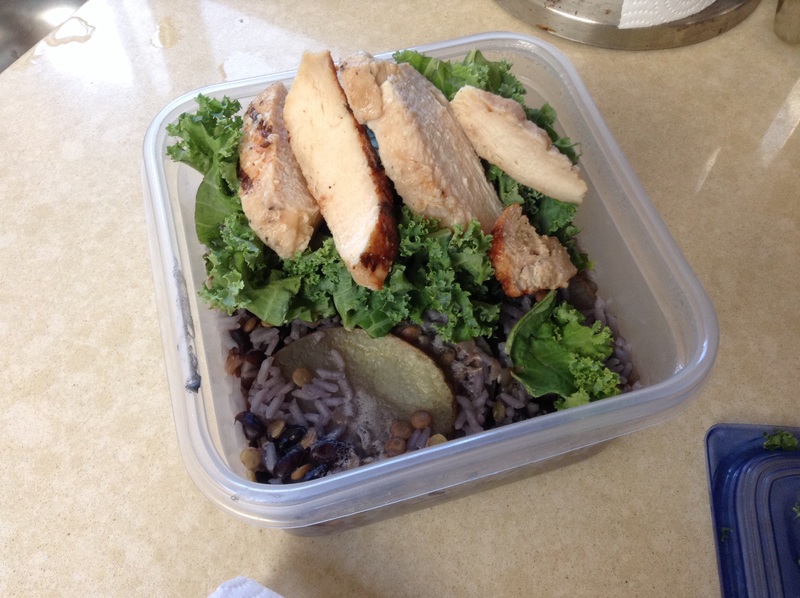 Add potato, rice, beans, and lentils (if using them) to a microwave-safe container and soak in 2 cups of water. Microwave on high for 10 minutes. If liquid water is completely gone, add 1/3 cup of additional water. Microwave for an another 5 minutes. Add kale and (if you choose) chicken. Enjoy immediately or store up to three days. It might look like crap, but it’s not half bad. So there you go. 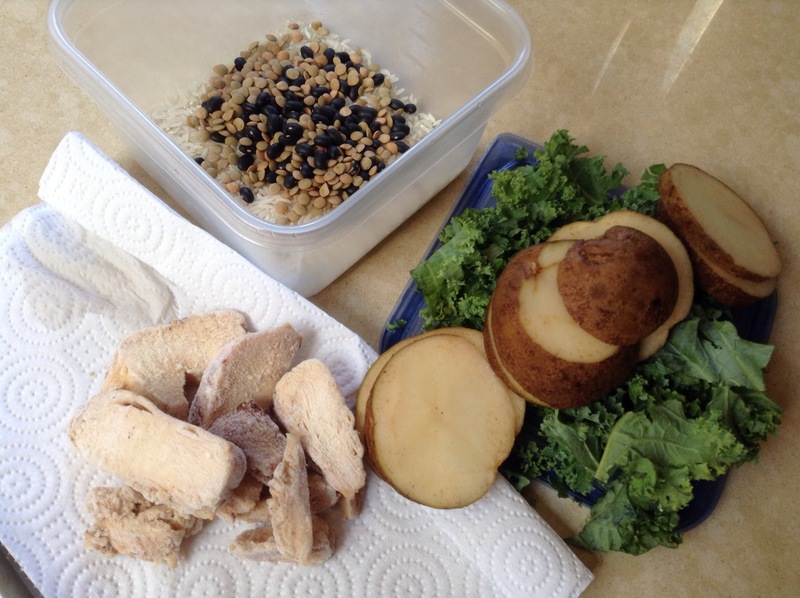 You can up the kale, chicken, or legumes for a bit more nutrients, but if you’re needing to fuel up or recover from a tough workout, you won’t find a a more filling option. Next time, I’ll probably cover a smoothie or juice (or why juicing is bad).